Accesorio de Telurometro - Aibitech Perú, Lo buscas, Lo encuentras aquí. 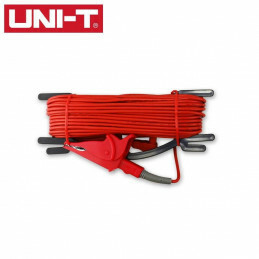 Accesorio de Telurometro Hay 3 productos. 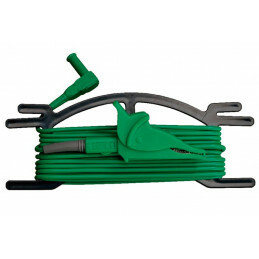 Cable De Prueba con pinza de cocodrilo 5 Metros Color Verde para Telurometro UT-521 UT522, UT-L57A UNI-T* Alligator-Clip Test Cable* Lenght of Test Cable: 10 meters* Safety Category: CAT III 600V 10A* Support: UT521, UT522 Earth Ground Testers. 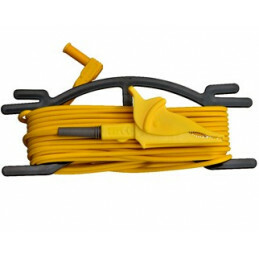 Cable De Prueba con pinza de cocodrilo 10 Metros Color Amarillo para Telurometro UT-521 UT522, UT-L58A UNI-T* Alligator-Clip Test Cable* Lenght of Test Cable: 10 meters* Safety Category: CAT III 600V 10A* Support: UT521, UT522 Earth Ground Testers.